Global will now move forward with the full launch of its new Outdoor division, following the simultaneous purchases of Primesight and Outdoor Plus in September 2018 and Exterion Media in November 2018. 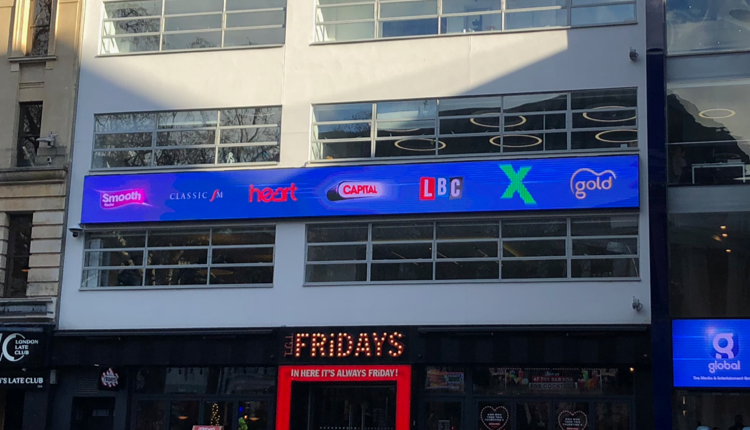 The addition of the Exterion portfolio gives Global some big titles – Global is now a market-leading outdoor company in Ireland, France, The Netherlands and Spain as well as one of the largest outdoor advertising companies in the UK & Europe, and the largest commercial radio company in the UK. Global’s new combined outdoor assets include the Transport for London (TFL) advertising contract for London Underground and over 1,500 rail stations, including all four metro systems – Newcastle, Liverpool, London and Glasgow – the largest supplier of bus advertising in the UK, with more than 36,000 buses, and major airport advertising partnerships including Glasgow, Manchester, Stansted and Gatwick airports. Global also has a substantial UK roadside presence of both digital and classic sites, including some of London’s most iconic premium digital sites. All told, Global has over 250,000 outdoor advertising points across the UK. The integration of the three companies into Global is not expected to affect the radio division and should be complete by the autumn. Stephen Miron, Group CEO, Global, said: “We are delighted that our acquisition of Exterion Media has now been formally approved by the CMA. Exterion, together with our recent purchases of Primesight and Outdoor Plus, will enable Global to make a huge impact in the outdoor market. Ashley Tabor OBE, Founder & Executive President of Global, said “Every few years, it’s important for ambitious businesses to take their next large steps towards growth and to ensure everything they are currently doing is still right and fit for purpose. If they’d’ve stuck to the radio sector and risen above deregulation they could have poured that investment in what they’ve had rather than closing loads of sites & costing people their livelihoods. They have bought a profitable company which will generate more cash for them, it isn’t a question of having less cash to spend on radio. Problem is Mike they don’t give a monkeys about what they have done to local radio sites and people’s livelihoods all Global were about from day one was taking over everything local and shutting it down to form two national stations Capital and Heart over all of the transmitters that were put there for LOCAL radio and Ofcom have just let them do it. A pointless regulatory body funded by us the tax payers that just let them get away with it while they concentrate on beating up the small community stations that let slip a four letter word at 2am in the morning or can’t produce a copy of a programme they broadcast six weeks ago because one mindless member of the public has raised a complaint! To be fair the public out there are as bad as Ofcom worrying and complaining about what in relative terms is the truly pathetic whilst Global’s actions they don’t seem to give a four x about! Congratulations people out there you now have the mindless radio sound you obviously all wanted! Enjoy! Next job for Ofcom dumb down BBC radio with more regulations so your favourite company has even less opposition on the national radio front something the BBC was licensed to provide but Global were not! !